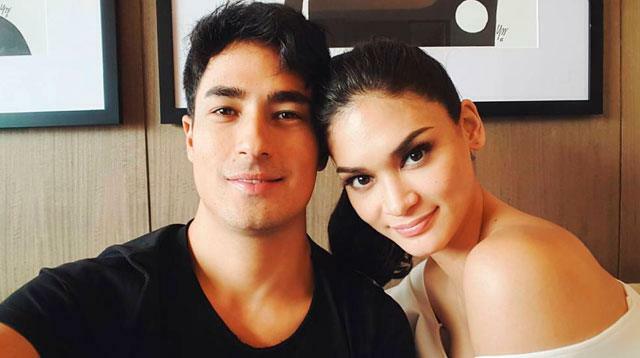 Back in September, we suspected something was going on between Pia Wurtzbach and Marlon Stockinger when the beauty queen posted a very random lovey dovey couple pic in New York. But, it was only in the past week that they finally confirmed their relationship to the public after their various trips around the world in the past months. "We knew each other through social circles before so we knew one another; we’ve met before. "It was more through common friends. Then eventually, this past year in 2016, I had the chance to go to New York to visit friends and Pia was there. And she was, thankfully, not so busy. And that’s basically how we [got together]. "'Di naman masyadong planned. We just messaged a bit and our plans just thankfully worked out so that was the beginning of everything—in New York, actually." "Actually, just the other week, I got to meet her sister Sarah, Charlie, and Lara, her very cute niece. The mother I haven’t met yet but I look forward to that."